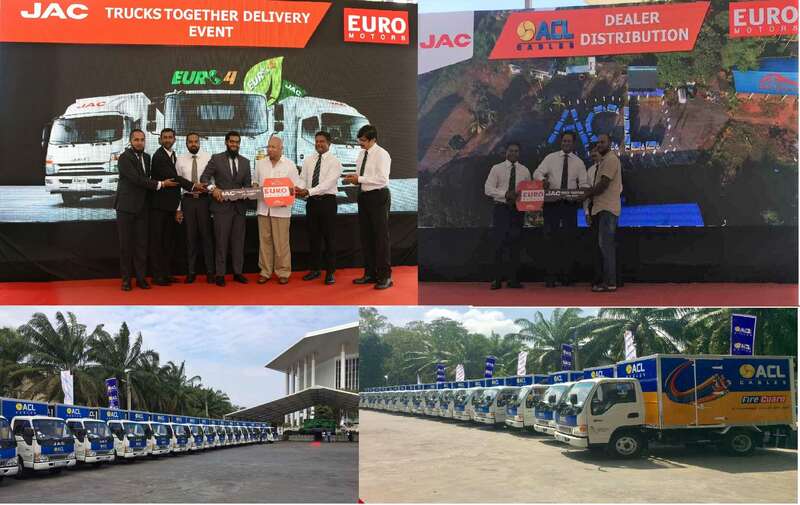 18 lorries were handed over during the initial phase held several months ago at ACL Cables head offce Colombo. The subsequent second phase held mid-January recently ensured the remainder fleet of 30 vehicles were delivered, covering the total distribution network. This was held ceromoniously at BMICH with the presece of ACL cables Group chairman Mr. Upali madanyake, Managing Director Mr. Suren Madanayake, Managing Director Euro motors (pvt.) Ltd Mr. Imitiaz, Islandwide distributors and other guests from ACL Cables and Euro Motors. The total fleet is fully owned and maintained by ACL Cables, branded with the No.1 household cable brand ACL Fireguard and its recently launched modular range switch series, ACL Elegance. The main objective of providing this fleet to its distributor network was to ensure an easing of day to day operations for the distributors and also to upgrade their delivery capacities. All trucks were handed over to distributors by Mr. Upali Madanayake, Group Chairman ACL Cables PLC He was accompanied by Mr. Suren Madanayake Managing Director, Mr. Daya Wahalatantiri, Executive Director and Mr. Lakshman Bandaranayake, Deputy General Manager. During the event, Daya Wahalatantiri welcomed the distributors and explained the motive of this initiative further, whilst revealing the start of their distribution operation in 1984 under the guidance of Chairman Upali Madanyake. He also highlighted the importance of a distributor, thier role to play and how they could help for the development of the company. He noted that considering these vital factors, encouraged ACL Cables in providing its own fleet of vehicles. Further explaining this action, Lakshman Bandaranayke acknowledged all distributors with special gratitude for their untiring efforts in the support provided to ACL Cables throughout their years. He also noted that the fleet will derive more recognition and prominence for ACL Cables as a brand, in turn uplifting the brand’s image. ACL Cables owns a market share of 70% with revenue over Rs. 16 billion as a group. 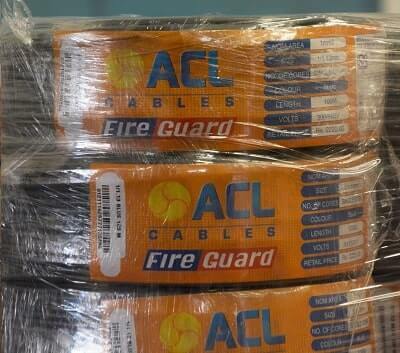 The company’s expertise has ensured many industry firsts to the market including special fire rated cables under the brand names of ACL Fireguard, ACL Fire Zero and ACL Fire Survivor. ACL Cables has also introduced a novel range of switches, sockets and electrical accessories meeting the high standards of modern consumer lifestyles under the brand name of Elegance.